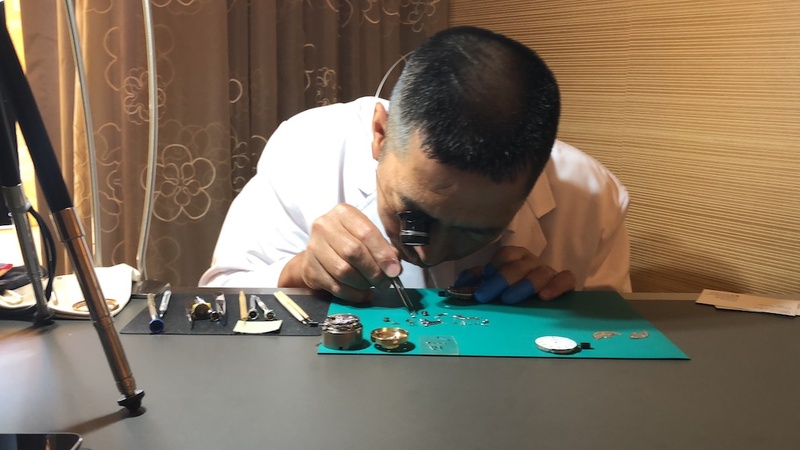 Love ‘N Watches: You’ve been at Seiko Epson most of your career, and head of watch making at the Micro Artist Studio since 2005. Are there other brands or pieces that have inspired you in your journey as a watch maker? 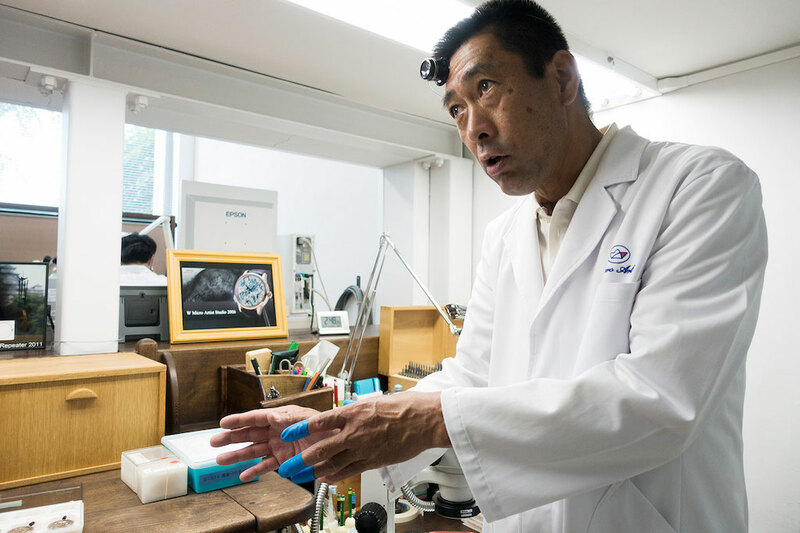 Yoshifusa Nakasawa-San: I have had the repair skill training of the mechanical watch, using various brands for two and half years after I joined the company. Regardless of the brand, the basic mechanism and the function of a mechanical watch do not differ so much, but I think the luxury watches such as AP are beautifully made and are truly impressive. Right now, I do not handle the other brands, but a watch/brand that had an influence on me and my team during a study session at the Micro Artist Studio is Philippe Dufour’s Simplicity. The beauty and the finish of this watch is magnificent, which aspired us to think that someday we want to make a watch like this. This is a watch of our role model. Some members of our finishing process team were dispatched to Mr. Dufour’s workshop in Switzerland, and were taught, even though for a short period, about their finishing process. 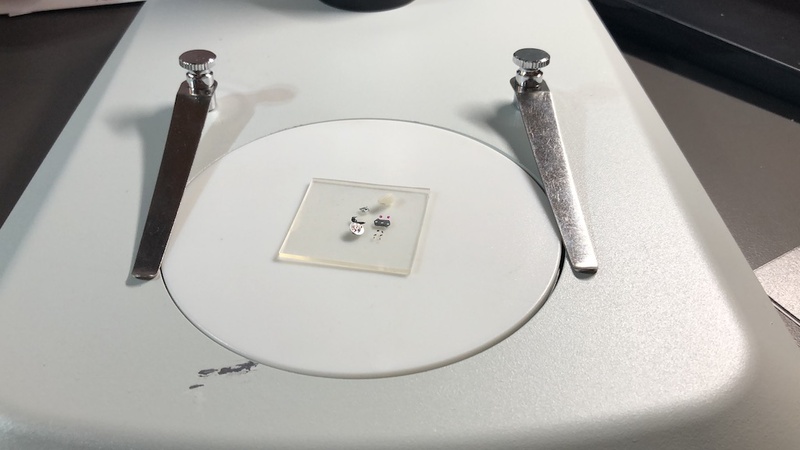 After that, when Mr. Dufour came to Japan, he was able to see the results from what he taught us, and we received a very high compliment on our products. My job is to assemble and adjust watches. Finishing of each individual part is performed by other members of the team. It is my responsibility to have a watch assembled, using all such parts. Therefore, the most important thing in my mind in my watch assembly work is “to make a beautiful watch”. LNW: You have mentioned in past interviews that you studied mechanical engineering at University. You seem to have a love of nature as well. My question is, have you also studied Fine Art, or Color Theory, as it is evident that you have knowledge of design and harmony with nature and color. How do you feel nature relates to design? YNS: It was a mechanical engineering course at High School, so it was not a mechanical engineering major at University. But I am interested in mechanical movements and their academic theories. Even though I have never studied art and color theory, I am very interested in nature. I think that us Japanese are naturally influenced by the landscape and nature of their own hometown, reflecting the changing of the four seasons. I feel various contrasts of nature’s colors (freshness of greens, the golden color of autumn leaves and of the grain of rice, and also the wind, the water and the mountains, the snow and the blue sky) are my favorite parts of my hometown. I think anybody in the world shares the sense of beauty represented by nature of her hometown. It is wonderful if there is a watch that can express such beauty of nature. I think if it would be great if one can feel nature in the mechanical beauty of a watch, and if so, such a watch can be cherished by the owner for a long time. LNW: Watches in the Grand Seiko Spring Drive collection are offered in three dials colors, and with the exception of the titanium and ceramic pieces, are all offered in stainless steel. Do you plan in the future to expand on metal types and/or dial colors, or do you feel that current trends of, for example, “pink” gold will go out of style? YNS: Unfortunately, I am not in charge of aesthetic designs or new elements, so I cannot answer that question. LNW: Will Grand Seiko ever make a smaller Spring Drive watch for smaller wrists or for female collectors, or are there size restrictions such that a small case can not accommodate the Spring Drive? YNS: Again, since I am not in charge of the development of new mechanism, I am not able to answer the questions. LNW: What were your first watches as a young person? YNS: The SEIKO watch (cal.6119) that my dad bought for me when I started high school. I used it for my assembly training over and over again when I started working at SEIKO EPSON. Finally, I remodeled it as a reversed rotation watch (the movement of the hand is reversed) as applied training. LNW: What are your hobbies outside the world of watch making? We know you like golf. Do you enjoy other sports, cooking, hiking, art or other hobbies? Like this kitchen knife, I like to buy the products I carefully selected and which come with the keyword “Japanese craftsman” . For example, Titanium cup, Matsui knit, Orokugushi (traditional handcraft comb), Tokyo silverware, Edo kiriko (traditional Japanese textiles), and of course golf clubs made by craftsman! LNW: Thank you very much for your time.